After movies, TVs, Laptops, smartphones and cameras, it’s time for tablets to go 3D. Tablets are the hottest new craze around the world and a 3D tablet was an obvious idea which was already in the developing phase but Korea’s i-Station has beaten companies like Sharp in the race. 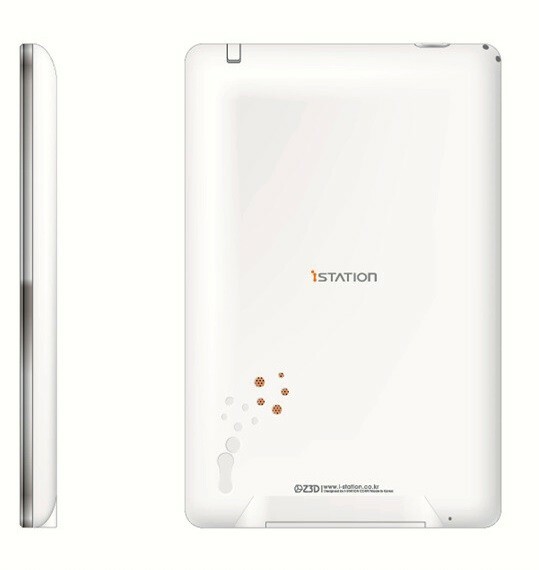 The i-Station is a 7-inch (800×480) Z3D tablet featuring 802.11b/g WiFi, Bluetooth 2.0, FM radio, 5000mAh high capacity battery, DMB television, either 32GB or 64GB of storage (depending upon the model), and 1080p video support. Don’t be fooled by its ‘i’ based name as the tablet runs on Android 2.1 and of course it requires special glasses to get the full 3D experience. If you don’t mind that, you’ll like the i-Station which comes in several models including the “i-Station Dude” and miniature “Buddy”. It is expected to launch in November for KRW600,000 or right around $500. Would you buy the i-Station or generally any other 3D tablet and are you willing to carry around the 3Dglasses to use your device? Let us know in the comments.